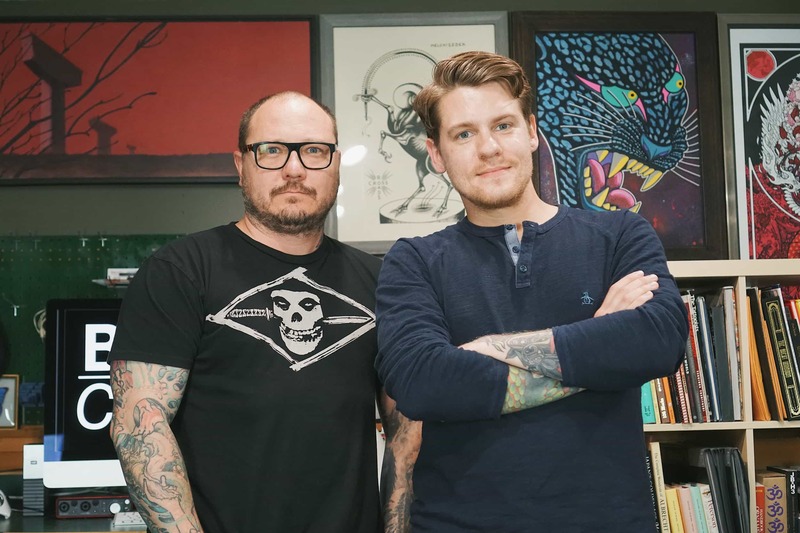 We speak with Andrew Stortz, the tattooist and organizer behind the podcast Books Closed. Stortz gives us a sense of how such a medium could emerge today and what he envisions for its future. Who began Books Closed? Who are the current team members? I launched the podcast at the end of June 2018. It’s a one-man operation at this point, so I do my best to squeeze in editing and everything that comes along with it while still tattooing full-time. Could you describe the origins of the podcast? How did the project begin? I have been a long time listener of talk radio and, more recently, podcasts. As a tattooer and artist myself, I really enjoy listening to something interesting, informative, or sometimes simply entertaining while I am drawing or painting. If I have a TV on while working on something, I won’t get anything done. It also helps to pass the time while commuting! 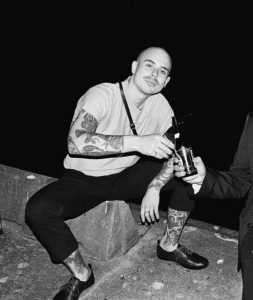 As most of the top tattoo magazines that I came up reading have ceased production, I thought there was room for tattooers to share stories and opinions in podcast form. It’s especially effective because hearing it directly from the source can be even more powerful than reading it in print. From the outset was there a clear goal in founding Books Closed? What motivated you to begin the company and what influence would you like your work to have on the tattoo community? The original focus of the show was to discuss the effect of technology, the internet, and social media on tattooing. 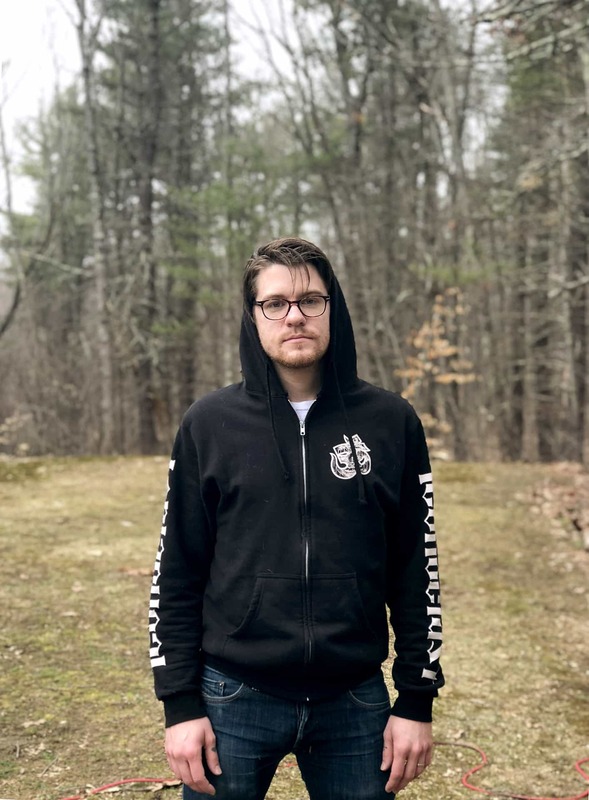 I felt that most of the negativity from within the industry is due to these things, and I wanted to see if I could work through why that is and how we can proceed from here. A year or two before I started Books Closed, I had been making satirical videos about a lot of these same issues for my YouTube channel. I noticed that most of the tattoo-related video content online was being put out by people with no understanding or connection to the craft. YouTube vloggers were positioned as the authorities on tattooing, leading their often massive audiences with their own opinions and thoughts after simply getting only a handful of tattoos themselves. My intent was to make something comedic that tattooers could relate to and hopefully alleviate some of the negativity. Some of it was parody of other silly tattoo media, but it was all some sort of commentary on how internet media portrays tattooing now. 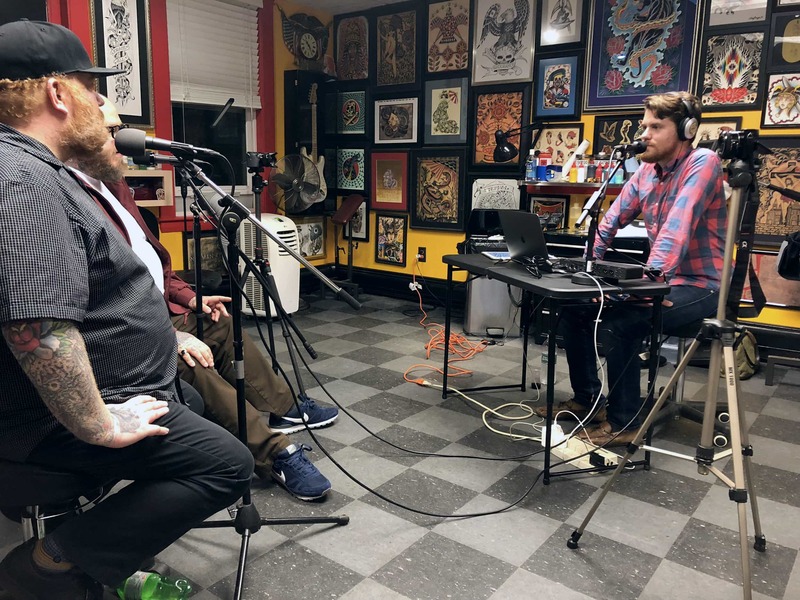 I am definitely not the authority on anything in tattooing, but I think the audience that was built from making those videos really helped the podcast launch to a group of trusting listeners. Your podcast is a favorite among tattooists, but your episodes are also crafted in an idiom that attracts many different types of listeners. Do you have a desired demographic or demographics? Who is Books Closed for? I would love for the show to appeal to more than just a core group of dedicated tattooers. As I progress, I am hearing from a lot of other types of artists (sculptors, painters, printmakers, etc.) as well as non-artists that are finding value in the stories and experiences discussed. I love that someone previously unfamiliar with “real tattooing” can get a glimpse of it by listening, and then have that whole new world unlocked. Although many can say that some of the “magic” of tattooing has been diluted as of late, I think there will always be an allure that can catch the attention of anyone. How do you understand your place within the world of tattooing? How would you like to see that world develop? I’m not sure if I do understand my place within tattooing yet. 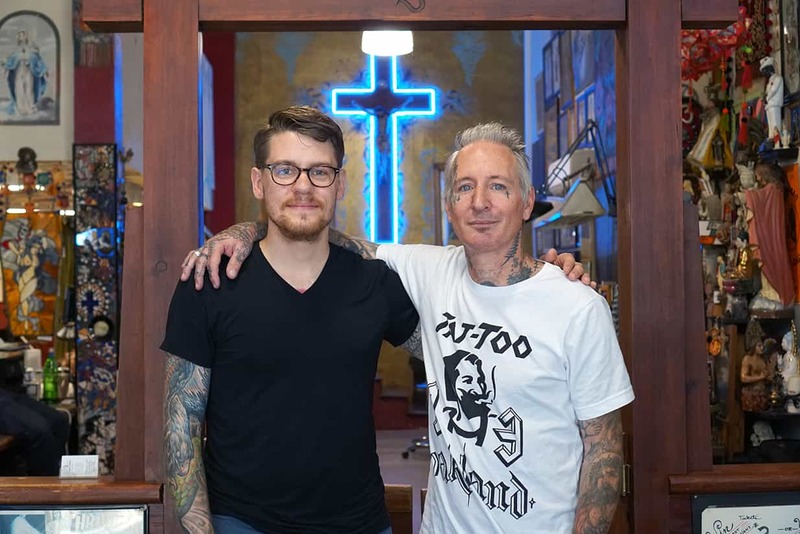 For a decade, I’ve just been a tattooer in the sea of many others—and now I have this podcast. Day to day, nothing feels different. It is still new enough that I am wrapping my head around the fact that people are actually listening to and watching these episodes I’m making. Having a voice like this can be such a powerful thing, and I definitely want to use it while it lasts to give something back to tattooing. Being able to document a small slice of tattooing right now is important. If people can look back on this stuff in 20 years to remember their own “good ol’ days,” it is all worth it. I get so much out of having these conversations with great tattooers that I admire. My own tattooing and outlook in general has improved greatly because of it, and I hope that people listening can experience something similar. 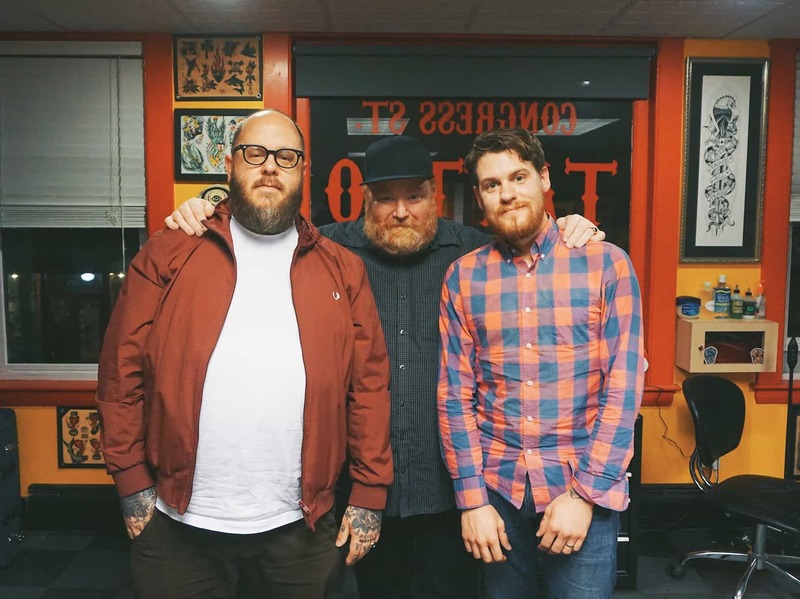 "As most of the top tattoo magazines that I came up reading have ceased production, I thought there was room for tattooers to share stories and opinions in podcast form. It’s especially effective because hearing it directly from the source can be even more powerful than reading it in print." 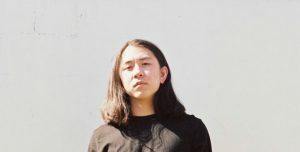 Who are some of the people you’ve collaborated with so far and are there any notable forthcoming collaborations? I have been very lucky to find support from a lot of great tattooers who have been willing to be on Books Closed. This includes tattooers such as Freddy Corbin, Chris O’Donnell, Seth Ciferri, Ami James, Heather Bailey, Steve Byrne, and many more. My desire to collaborate started from the beginning, while making comedy videos for YouTube. 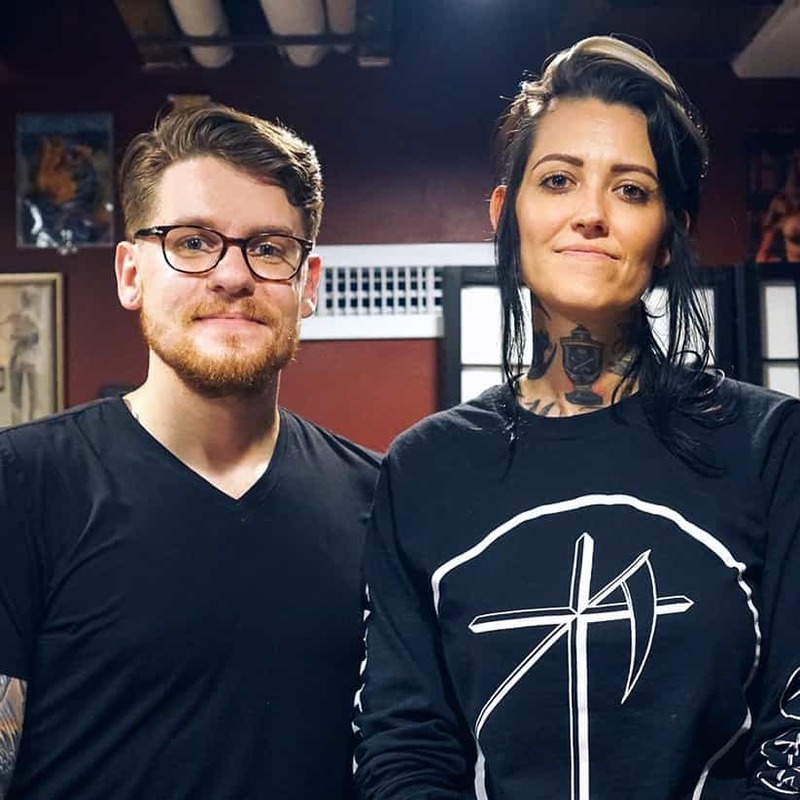 I loved the idea of getting well-known and respected tattooers to play a little role in those videos as little “easter eggs” to those watching from within the tattoo community. I’m sure this was inspired also by late night talk shows and Saturday Night Live, where a sketch can be elevated just by having particular people participate in it. Eventually, I realized I could collaborate with these great tattooers to offer a lot of value beyond some comedic relief and showcase their thoughts and experiences in the context of the real world. I don’t typically share my list of future guests, since I feel like the element of surprise can be one of the few ways to build any excitement around a podcast of two people talking for an hour! Do you have plans to produce any other types of media in the future? I am always open to evolving and trying new things. I never realized how much I enjoy entertaining people until I took on these projects in the past few years. I am glad I found a way to do it within the context of tattooing, so I didn’t end up being a bad stand-up comedian looking for open mic events to ruin. As long as people are enjoying what I am doing, I will continue to produce it. "I am always open to evolving and trying new things. I never realized how much I enjoy entertaining people until I took on these projects in the past few years. 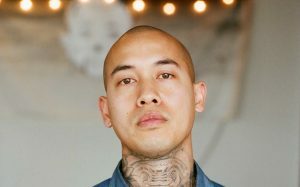 I am glad I found a way to do it within the context of tattooing, so I didn’t end up being a bad stand-up comedian looking for open mic events to ruin." Books Closed is so engaging because it preserves the stylistics of a pirate radio show; it has a distinct DIY feel. However, what distinguishes a podcast from a pirate radio show is precisely the fact that the former no longer contends with internal limits to its distribution. The podcast format is an interesting hybrid that mirrors the status of tattooing today: self-regulated, self-produced, but circulated and distributed on massive scales. 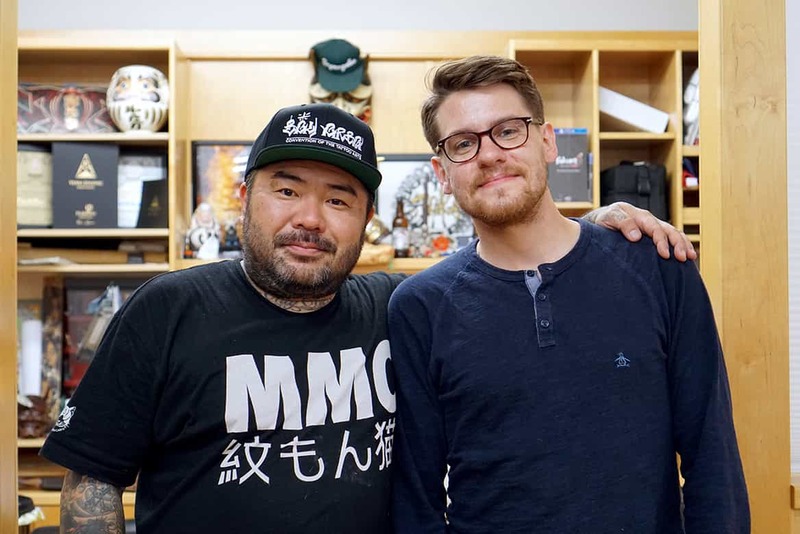 How do you understand tattooing’s relationship to the podcast as a medium? 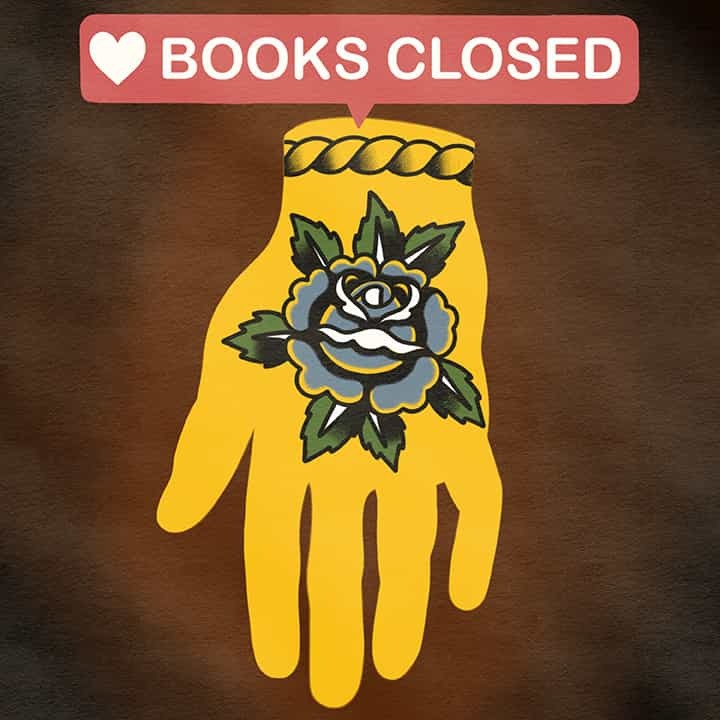 Is Books Closed a project that exists because of the global status of tattooing today, or do you imagine that (technology notwithstanding) a similar endeavor would have been possible 20 years earlier? With the way that podcasts and the internet in general can instantly push out anything we make, the visibility of Books Closed is definitely only possible because of the technology available now. I love the DIY feel of a lot of content produced for the internet. Video and audio equipment is so amazing and affordable now that anyone can do it. A lot of the hurdles that used to be in front of people with great ideas are no longer factors. I truly believe that podcasts are one of the best ways to share information that we have right now. Compared to Instagram, Facebook, or even YouTube—where people are often mindlessly scrolling through endless amounts of photos and videos—I’ve found that podcasts draw a much more dedicated audience. People will listen to a conversation for over an hour, and then discuss it with coworkers, friends, or family. There is a true value in that willingness to listen that is great for much more than just talking tattoos. For episodes, roster, and scheduling of Books Closed, please visit booksclosedpodcast.com.